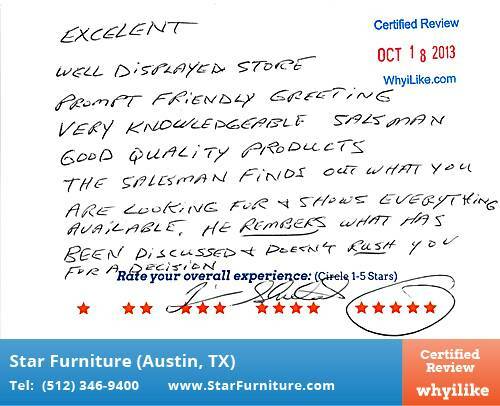 Gale has been very helpful thanks! 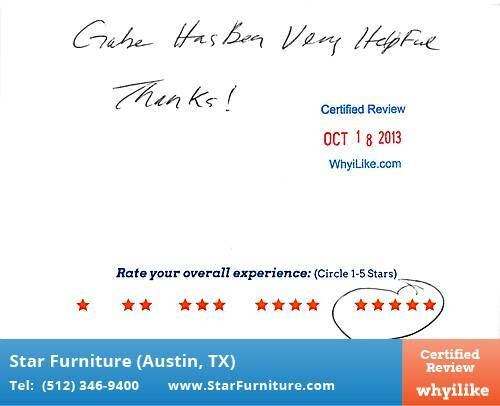 My experience has been very good. 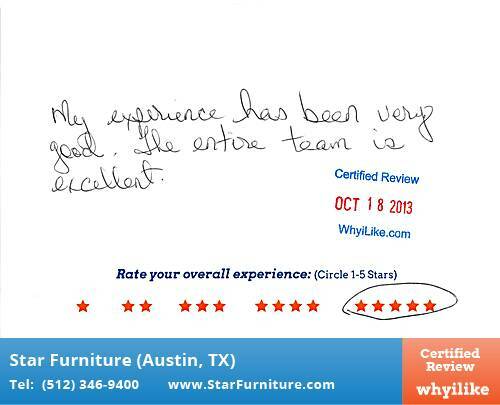 The entire team is excellent. 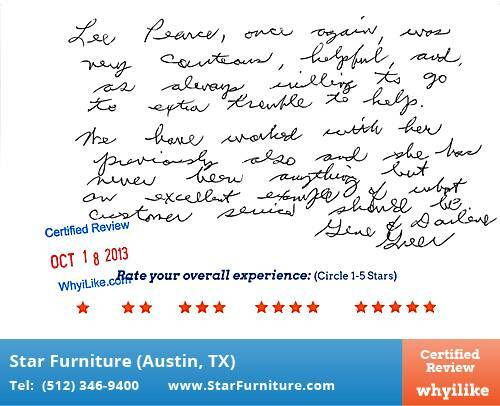 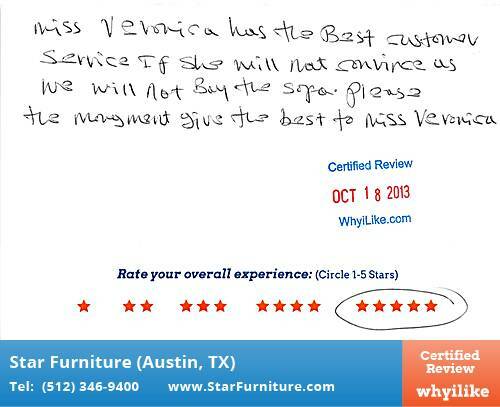 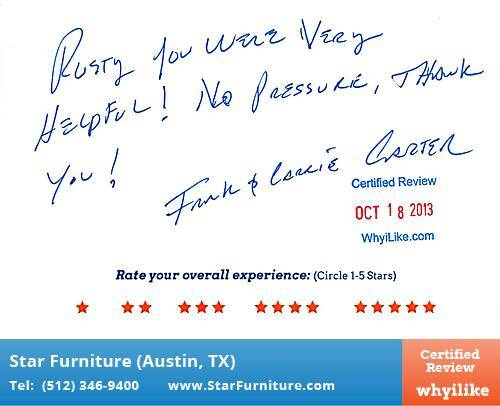 Our Experience With Star Furniture Has Been Great. 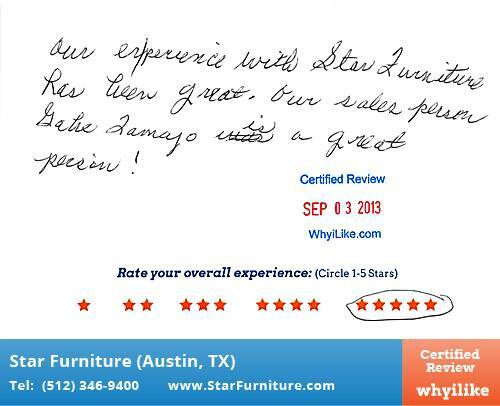 Our experience with Star Furniture has been great. 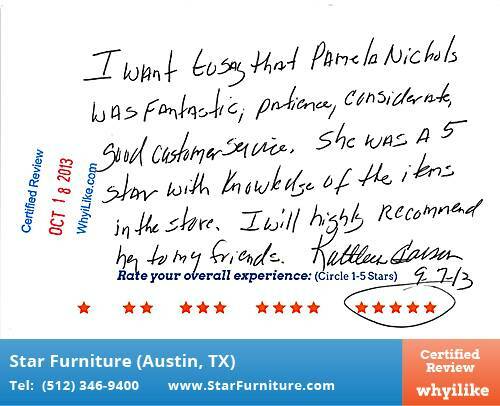 Our sales person Katie Zamajo is a great person!